Enjoy 41% off Dermaplaning @ Lifted Spirit Lashes in North Nanaimo! Deeply Exfoliate, Remove Vellus Facial Hair & Improve Your Complexion! Rid your complexion of pesky facial hair (also known as vellus hair), reduce acne scarring & breakouts, and experience an immediate renewal in your skin's appearance, tone, and softness! Get Yours! 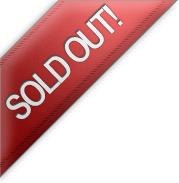 ~ Sold Out! ~ $60 now just $35 for a Complete Dermaplaning Treatment! Dermaplaning cleverly triggers the cell regeneration process, helping to reduce the appearance of acne scarring and hyperpigmentation. Dead skin cells are no match here - renew & refresh your skin! Dermaplaning: an exfoliation treatment which removes peach fuzz (vellus hair) & prepares your skin to absorb moisturizers, peels & more. A great way to prep your skin before a special event! It even helps your makeup work, look, and feel better, too! Included with your dermaplaning treatment is a theraderm natural enzyme peel. This peptide-based peel uses botanical enzymes extracted from papaya to gently exfoliate dead skin. Infused with pineapple, grape seed, green tea leaf and cucumber, it's the perfect addition to your freshly glowing skin! Remember; not all blades are equal. Razors can cause stubble & irritation; Dermaplaning does not cause vellus hair to return thicker or darker. Want a sneak peek? See what Dermaplaning can remove to improve the look & feel of your skin; view Lifted Spirit Lashes' Facebook post. Try Dermaplaning today! Grab an IDDeal, Book Online or FB Message to place your appointment with Lifted Spirit Lashes in North Nanaimo! Dermaplaning is much more than just "shaving your face" - it gently sloughs off dead skin cells, peach fuzz, oils and impurities to bring forward your best glowing, radiant, and beautiful skin. Allowing for better access and penetration of skin care & anti-ageing products, you'll find your skin drinking up everything you give it! Be sure to get your best products ready, and let your skin drink up every last bit! Complete your treatment with a selection of high-end serums loaded with skin-nurturing and cell-boosting Vitamin A & C.
Book Online or Send a Message!